Made in Norway by GRS, the new Kelbly “X-Eater” stock combines an ergonomic grip with the superior tracking ability of the latest, low-profile designs. Height-adjustable cheek-piece and length-adjustable buttpad allow the shooter to tailor the stock to his preferences. 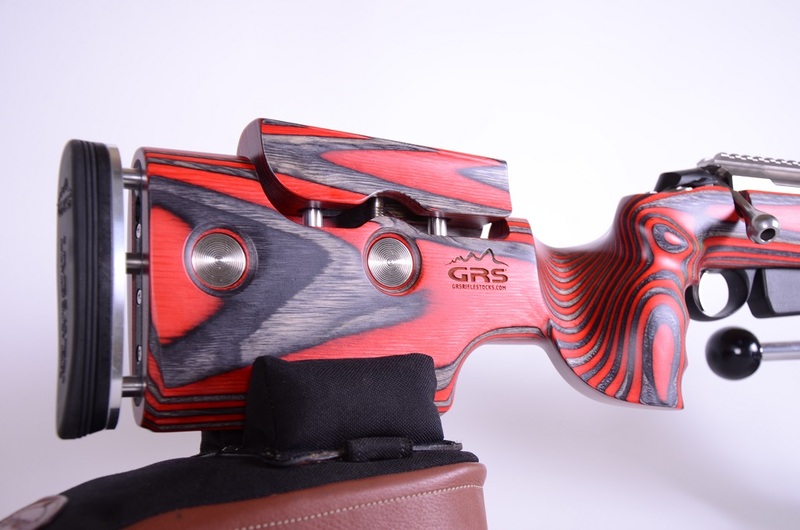 The ergonomic grip/wrist helps the shooter steer the rifle precisely with greater control. The low-profile design aids tracking and helps tame the torque generated by the large 7mm and .30-cal cartridges favored by top F-Open competitors. The fore-end is made with the same twin-runner (catamaran-style) design as the previous GRS F-Class Open stock. (On the underside of the fore-end there are left/right rails with a relieved area in the center). The big change is that this new stock sits lower on the front bag compared to the first F-Class stock from GRS. The rear of the stock is designed for a two-stitch rear bag. Initially the stock will only be offered in Right Hand versions in black/blue and red/blue laminate. Share the post "Kelbly’s and GRS Introduce New Low-Profile F-Class Stock"